Newton County Sheriff Keith Slape said that a trailer fire on Old Highway 7 claimed the life of Veronica Kellogg Cole, 47, of Jasper. Slape said that the Sheriff's Office received a call 5:30 p.m. Wednesday March 23, that the Tamara Breedlove residence was on fire and that there was a person still inside. When the Jasper Fire Department arrived on scene the house was totally engulfed. Slape said that Breedlove and Cole had stopped by the residence to pick up some clothing for Breedlove's child. When they entered the residence, they noticed soot covering the house and shortly thereafter the trailer was on fire. The couple tried to get the clothing but was overcome from the smoke and heat. Breedlove exited the home and attempted to get Cole out but was unsuccessful. Slape said the body was recovered from a bedroom and was sent to the State Crime Lab for an autopsy. Slape said that the fire caught the area woods on fire and that the Jasper, Deer, Mt. Judea, and Mt. Sherman Fire Departments responded and controlled the fire. 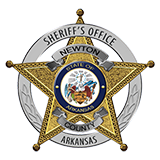 "The Newton County Sheriff's Office and the Arkansas State Police are currently investigating the fire and feel we have located the point of origin and now determing the cause of the fire" stated Slape. Breedlove was treated at the scene by North Arkansas Regional Medical Center ambulance team.